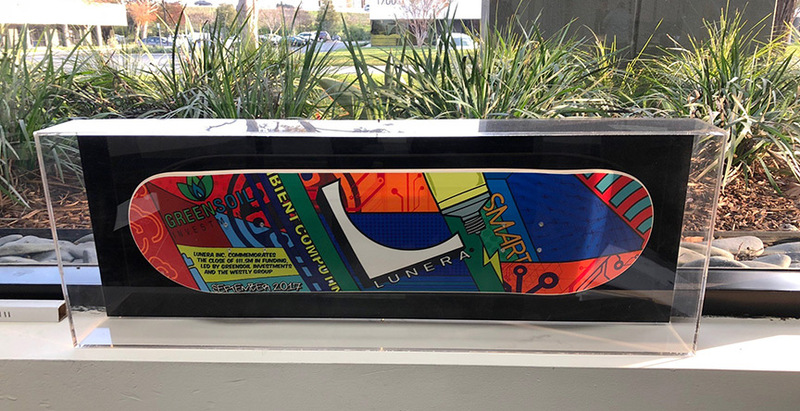 Smart lighting startup Lunera wanted to commemorate closing a significant round of funding, and decided to do so by designing a custom skateboard deck. I worked on several looks and styles for the item, with the client eventually choosing a stylized 80's retro look. 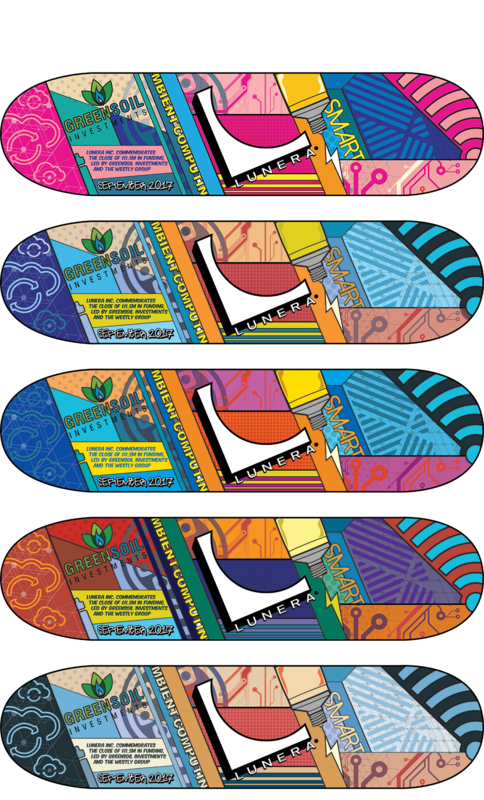 What began as a single skateboard deck design eventually mushroomed to creating five analogous color variations of the same design, as well as custom iPhone cases and a series of tech tattoos. The finished decks now sit in Lunera's Santa Clara office.